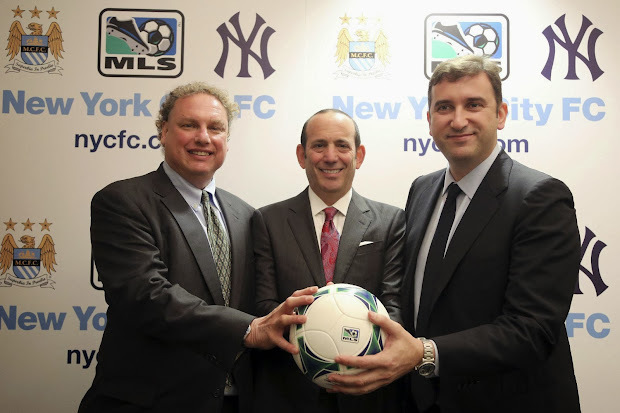 Today, MLS announced that the league's 20th team, long pegged for New York City, will be owned by the New York Yankees and Manchester United FC. and Ferran Soriano, Manchester City’s C.E.O. Staking their claim to Gotham in a big way. A lot of us presumed that the Cosmos would take the 20th spot, but last year they took themselves out of the running to join the second-division NASL (for now?) and that left a large opening. 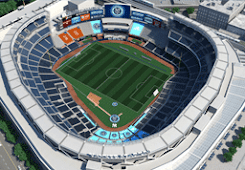 The New York Red Bulls have never been all that interested in New York City itself, or at least they weren't until they saw how much interest and money the Cosmos were garnering, and now they're in real trouble. Man City has a good organization, and I've no doubt that they'll start off running. 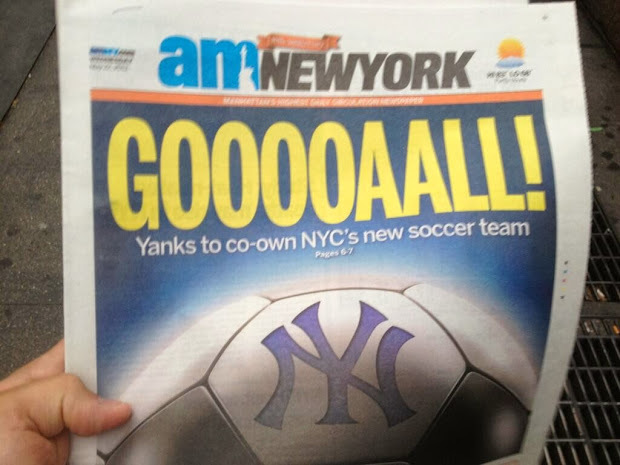 This is very good for soccer in the Big Apple. I look forward to seeing many sky-blue shirts on Brooklyn's pitches soon.